Father/Son trip of a lifetime. Great tee times, hotels, service to get us around to the courses at St. Andrews were the best. 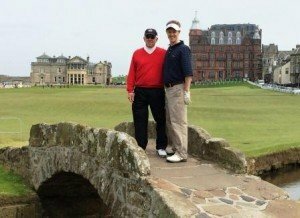 If you want a great trip I highly recommend Golf Vacations UK.